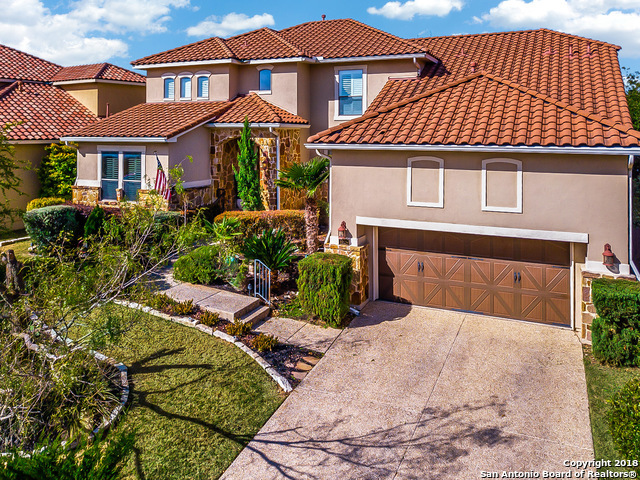 All SAN MIGUEL AT CANYON SPRI homes currently listed for sale in San Antonio as of 04/24/2019 are shown below. You can change the search criteria at any time by pressing the 'Change Search' button below. "STUNNING!!! 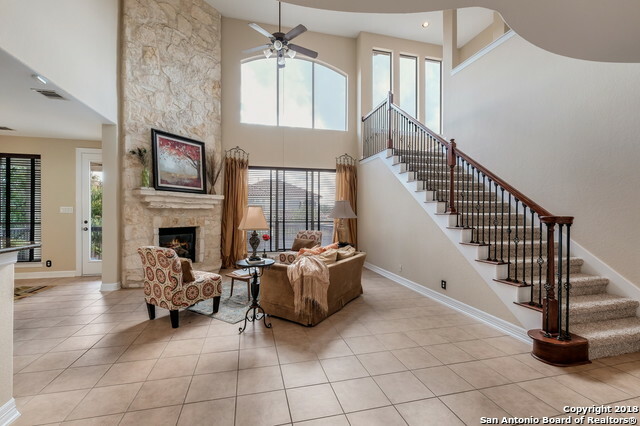 2573sqft 1-Story Sitterle MASTERPIECE overlooking the green on hole #3 of desirable Canyon Springs Golf Club. ABSOLUTELY LOADED TO THE 10's w/every upgrade imaginable including custom master closet by California Closets. (No expense spared). INCREDIBLE covered patio & 2 level deck w/built in fireplace, stamped concrete, 3 industrial fans, automatic roll down shades etc. Enjoy your coffee watching golfers tee shots into the green. WAY too many upgrades to mention. NO CITY TAXES, NEIS"
"Stunning Stone & Stucco Newmark home w/ Study, Game Room, & Media Room in Gated San Miguel at Canyon Springs.Expansive island kitchen opens to sunny Breakfast Room & Family Room w/ Soaring Ceilings & Stone Fireplace.Abundant natural light!Gas cooking!Master Suite Down w/ His & Hers Closets.Fresh Paint & New Carpet throughout - completely move in ready!Outdoor kitchen perfect for grilling & spacious yard w/ space for a pool. Tile Roof!Community Pool,Tennis Courts,& Park.Top Rated NEISD schools.No"
"Grand entry, crown molding, hardwoods, private study, fireplace, 2 story ceilings, plantation shutters, GE Profile appliances w/ double oven, granite counters, bay window, reverse osmosis. Master sitting area, his & hers vanities, stained glass, jetted tub, walk-in shower. Bed 2 down has access to a full bath. Game room, 2nd master up has full bath. Backyard has stained privacy fencing, cvd porch, outdoor kitchen, deck, putting green, gazebo & hot tub. Water softener, sprinklers, gutters, gated,"